While teachers love getting gifts for teacher appreciation week sometimes the most memorable gifts are the ones that come from the hearts of students. Each of the students at my daughters preschool were given a piece of card stock to decorate for teacher appreciation week, these heartfelt creations will adorn the hallways as teachers arrive at school this week. This simple art project lets little ones express their creativity and creates something frame worthy for the halls. On a piece of cardstock use white crayon to write a message, I love mixing different styles of writing. 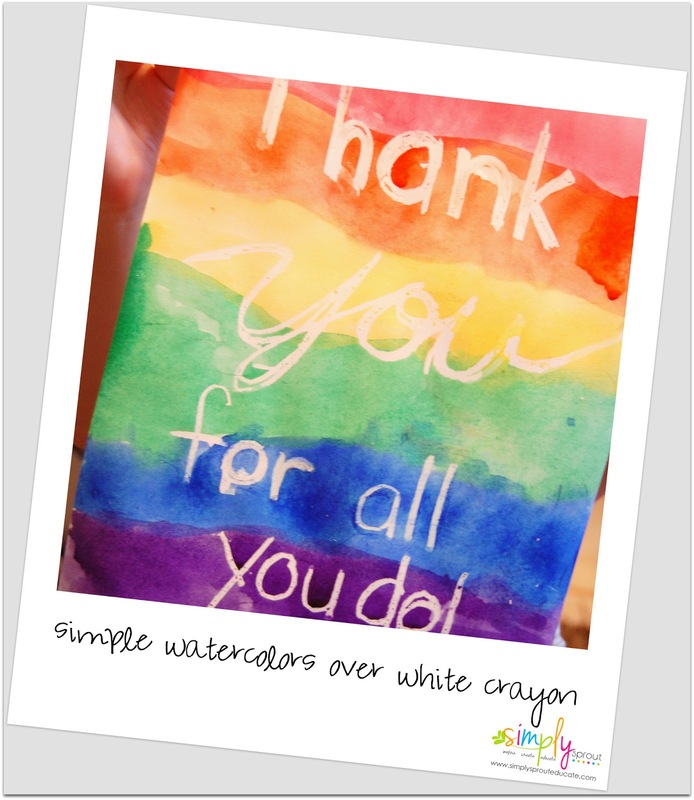 Then have your little one get creative with their watercolors, my daughter wanted to create a rainbow, simple color blocked lines create a one of a kind piece of artwork that any teacher will love!